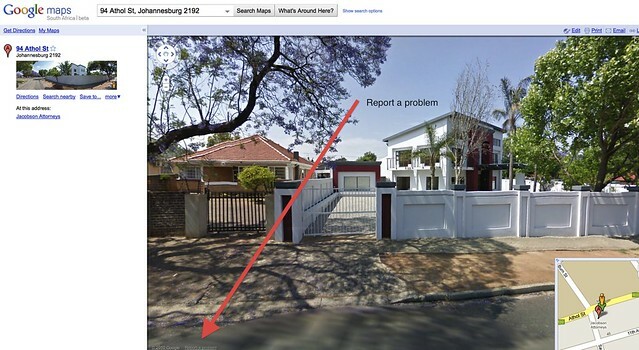 Concerns about privacy have sparked a controversy in South Africa focused on Google Street View, a visual layer which Google recently added to its Google Maps offering in South Africa and which has been available in a number of other countries worldwide for some time now. 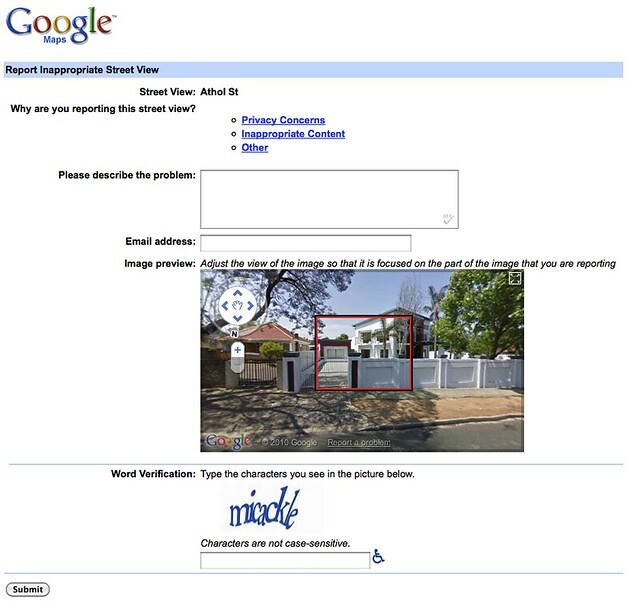 One of the concerns about Google Street View was expressed by Managing Director of MUA Insurance, Christelle Fourie, who stated that Street View infringes on people’s right to privacy. I don’t necessarily agree with Fourie. Privacy and Google Street View is largely a question of when people have a legitimate expectation of privacy. If the Street View cameras only present imagery of views that are publicly available, there may not be a legitimate expectation of privacy and no invasion of privacy. 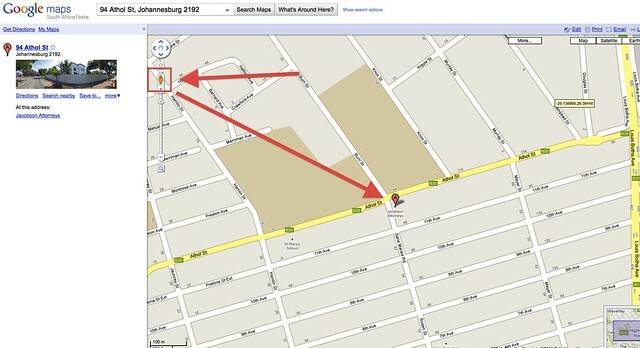 As its name suggests, Google Street View gives you a view of addresses you can find in Google Maps from a street level. In the past, using Google Maps would give you the sort of map you see above (this is a map to our offices). You’ll notice that in the map view below, there is a yellow man icon in the zoom controls.